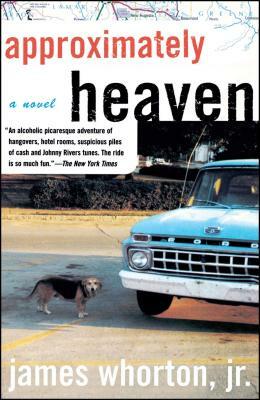 From prizewinning short story writer James Whorton, Jr., Approximately Heaven is a marvelously rambunctious debut novel about one hapless man's pursuit of happiness -- or at least another six-pack. Preferably both. Don "Wendell" Brush is an unemployed 32-year-old Tennessee electrician who likes a few beers before lunch. Mary, his long-suffering wife, has decided to leave him, but Don, heartsick at the thought, beats her out the door. He reasons that if he leaves, Mary will have to stay behind in their ramshackle house to take care of their dog and cat. At least he'll know where she is. Out on the street with nothing to do until he can think of a way to win another chance with Mary, Don decides to take a road trip with his friend Dove Ellender, a retired, chain-drinking ex-felon with emphysema who is driving to Mississippi to deliver some furniture. If there's something else in the trailer, Don isn't asking and Dove's not telling. The New York Times An alcoholic picaresque adventure of hangovers, hotel rooms, suspicious piles of cash and Johnny Rivers tunes. The ride is so much fun. Booklist The incredibly loopy humor and sweetly addled characters in this first novel make it one of the funniest books of the season. Los Angeles Times Whorton's novel delivers a mischievous and heartfelt message: If you keep taking wrong turns, you might just end up where you've always belonged.